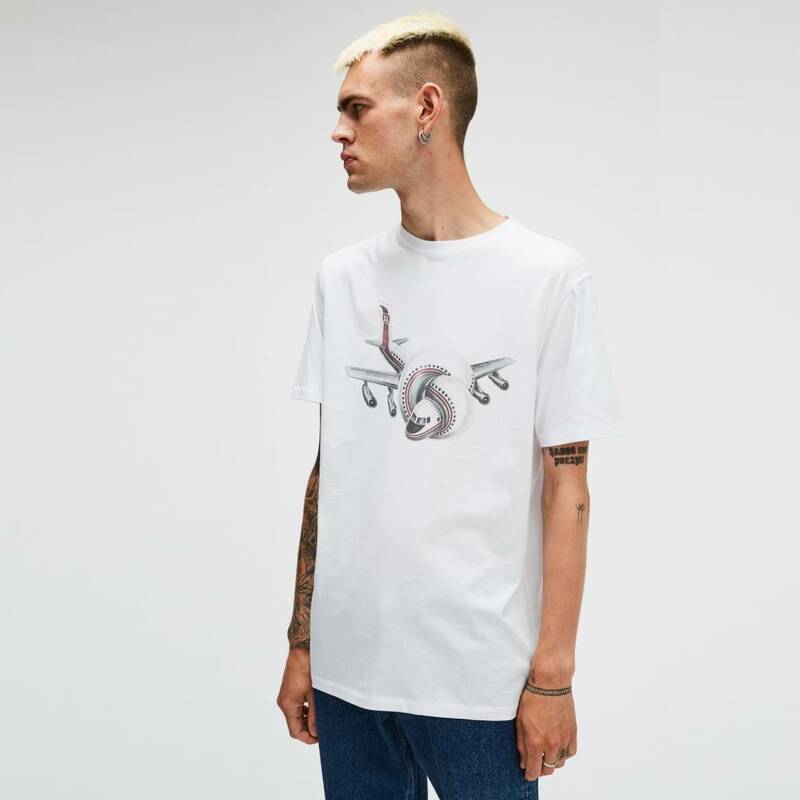 Soulland's Larry T-shirt is a single jersey tee with baseball stitchings. 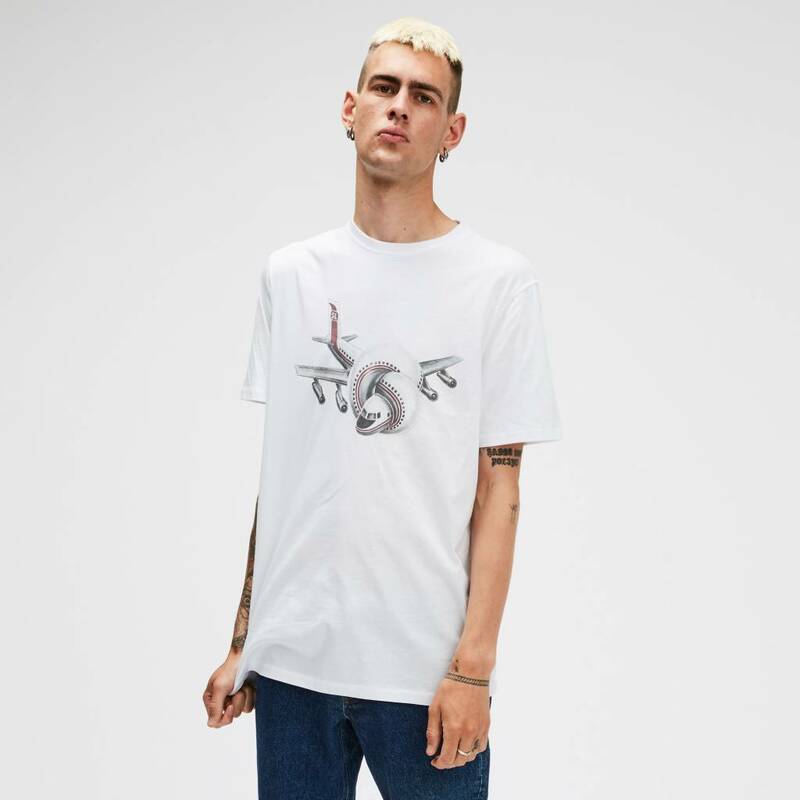 The digital print on front is inspired by the satirical disaster film Airplane. Soulland's Larry T-shirt is a single jersey tee with baseball stitchings. 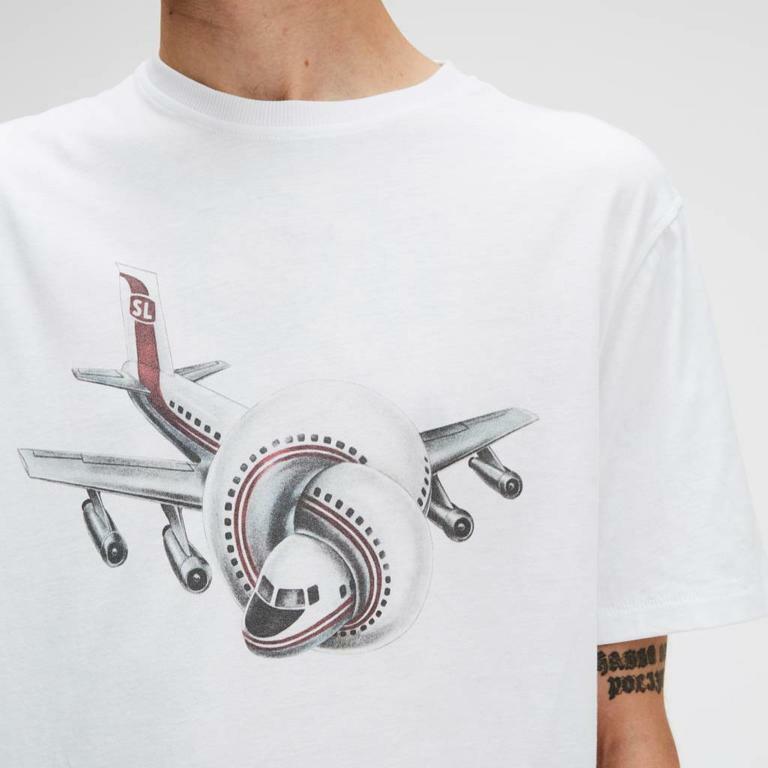 The digital print on front is inspired by the satirical disaster film Airplane. This product is fabricated in Turkey.